Hello! Today's card is for Sweet Stamps post. 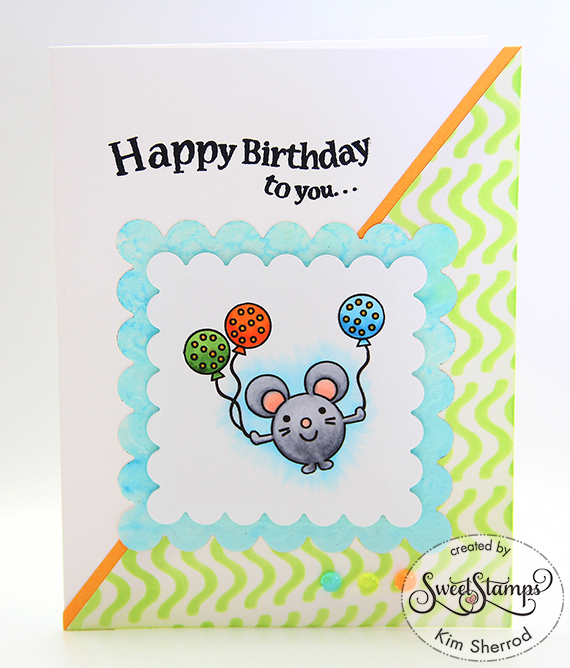 I am using another stamps set from Sweet Stamps new release called Party Mouse. I also pulled out my stencil for the background. I colored the mouse in using Copic markers. I watercolored the blue background. I die-cut both the image and background and adhered them to each other using 3D tape. The tire stencil was done using the ink sponging technique then I cut it in half on the diagonal, added a tiny strip of orange cardstock and stamped the sentiment to the top portion of the card. 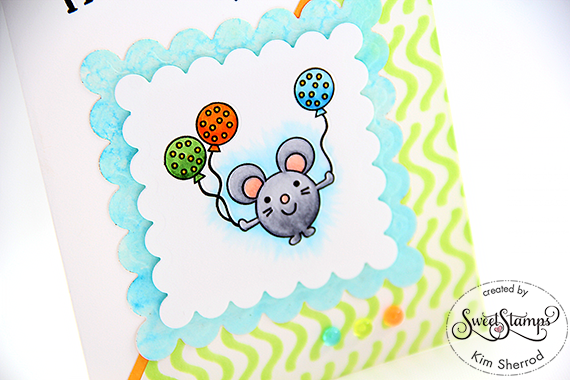 You've made a beautiful card for our 'All Things Cute' Challenge over at Crafty Friends Challenge Blog. Good luck in the draw and hope you can join us again for our next challenge.